More popular now than ever, the allotment is part of the fabric of British life. This is the ideal story of this phenomenon by the subject's leading historian. 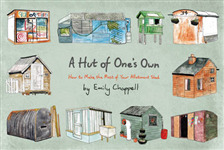 A quirky gift book about the joys of the allotment shed: a series of original and charming illustrations offer insight into the world of allotment huts and offer inspiration to create your own, very special shed. NEW IN PAPERBACK. This manual is essential for the budding or experienced allotment owner.